LEIPSIC - Connie S. Snyder, 66, of Leipsic died 6:15 a.m. Wednesday, March 27, 2019 at The Ohio State University Wexner Medical Center, Columbus. She was born November 14, 1952 in Fremont, OH to Frank and Luella (Shull) Snyder, Sr. Her father is deceased and her mother survives in Northwood. Connie is also survived by her life-long companion, Gary Meyers of Leipsic; 3 brothers: Terry (Darlene) Snyder of Port Clinton, Frank (Connie) Snyder, Jr. of Oak Harbor and Jim (Gloria) Snyder of Northwood; a sister: Deb (Tim) Hepner of Northwood; and 2 sisters-in-law: Kathy Snyder of Tulalatin, OR and Peg Snyder of Toledo. She is preceded in death by 2 brothers: Russ Snyder and Richard Snyder. 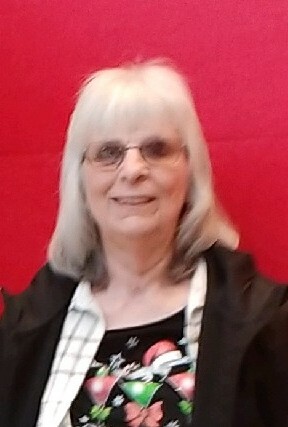 Connie retired in 2017 from Ennis, Leipsic. The funeral service will be 1:00 p.m. Sunday, March 31, 2019 at LOVE-HEITMEYER FUNERAL HOME, Leipsic with Pastor Laurie Beaty officiating. Burial will follow in Sugar Ridge Cemetery, Leipsic. Visitation will be from 2 to 8 p.m. Saturday and again from noon until the time of service Sunday at the funeral home. Memorial contributions may be made to Putnam County CAPS. Online condolences may be expressed at www.lovefuneralhome.com.